Nick is fighting with Foxtel, Dec is fighting with some guy carrying too much mineral water and Rod Stewart’s audience are just fighting. All proudly bought to you by your local Sportsbar. PS – We’ve gotten way too cocky and booked two live podcasts for the Melbourne Comedy Festival on April 11 and April 18 at Trades Hall. You can book tickets here. 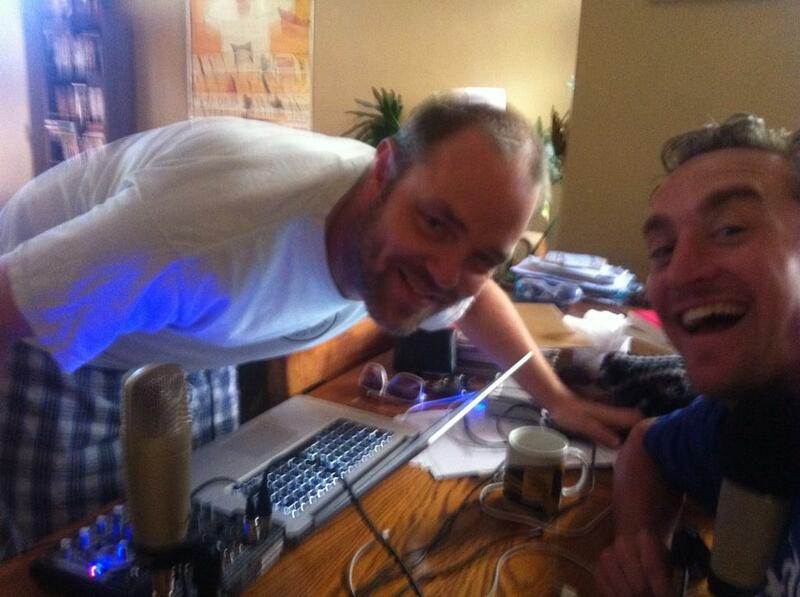 PPS – Here’s a photo we took while recording this episode. We do not recommend this posture while recording your podcast.